This beautiful Clematis has the most sumptuous, silver-blue, fully double flowers with yellow centres during May and then again in September. Clematis 'Chalcedony' blooms would be wonderful used within cut-flower arrangements, and could be used to decorate a wedding bouquet. This non-evergreen climber is a real show stopper and is perfect for growing in containers or trained onto a wall, fence or trellis. 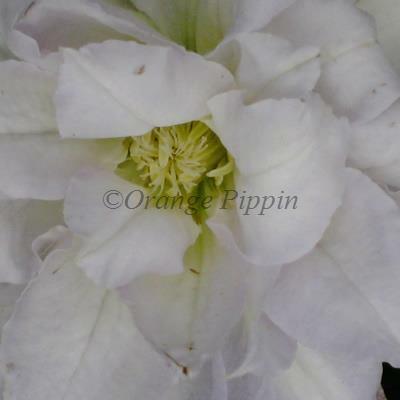 Clematis 'Chalcedony' was raised by Ellis Strachen of Plymouth, England.